In Canada, most provinces can nominate immigrants through the Provincial Nominee Program (PNP). These immigrants must have the skills, education and work experience to contribute to the economy of that province or territory, and must want to live there. Since January 1, 2015, many provinces and territories have launched new Express Entry streams. Check their websites to learn more about which streams they offer. 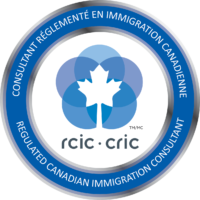 After having been nominated, the applicant must make a separate application to IRCC for permanent residence. The application is then assessed based on Canadian immigration regulations. Each province and territory’s streams, eligibility requirements and nomination guidelines for their PNP can change without notice. Check websites of the provinces or territories on the side menu for the most up-to-date information. If you are invited to apply for permanent residence, you will submit an online application to IRCC. The first step in obtaining a Provincial Nomination for Canada is to schedule a consultation with Pahl & Associates for an in-depth assessment of your proposed PNP application. Complete contact form and we will get back to you within 24 hours to schedule a mutually convenient appointment.